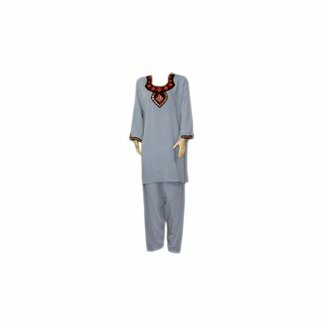 Beautiful fabrics are used for our salwar kameez. 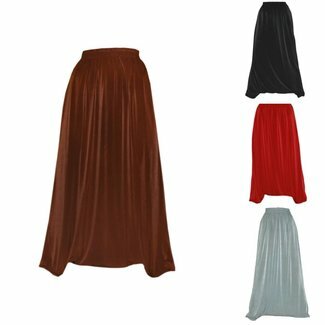 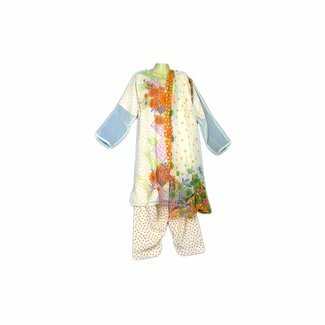 The colorful fabrics made of synthetic fibers are often provided with rich embroidery, sequins or mirrors. 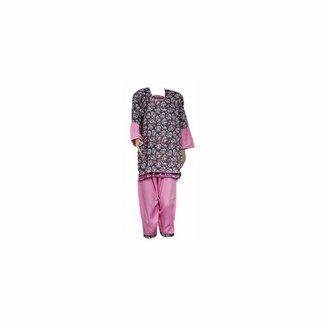 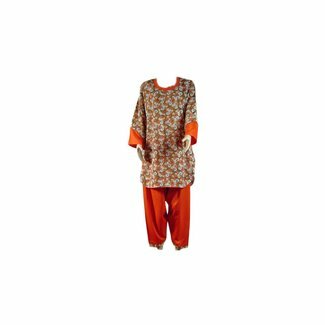 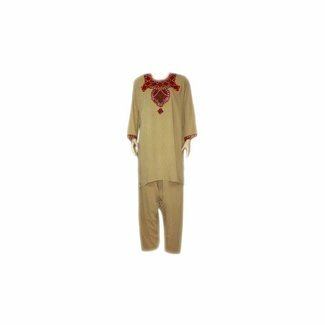 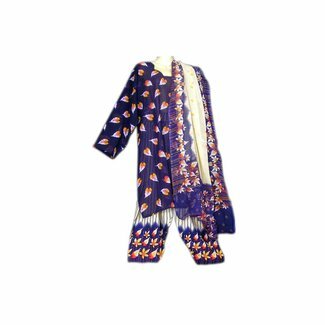 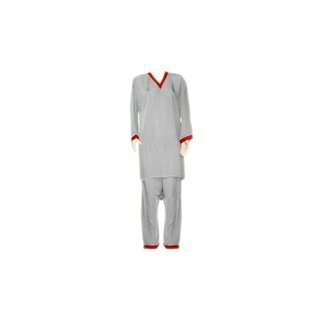 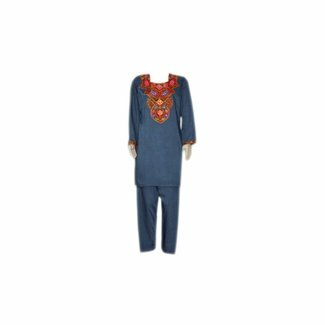 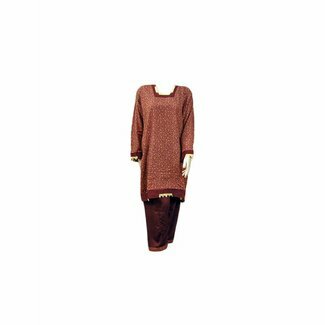 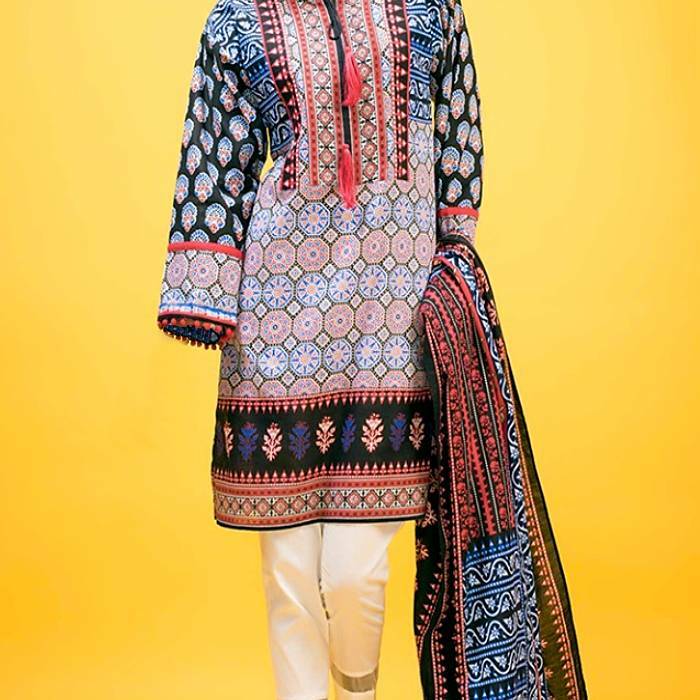 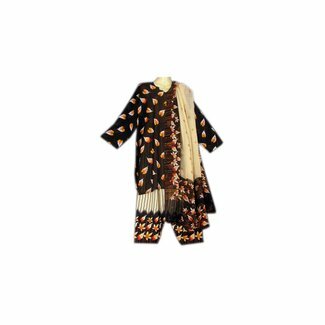 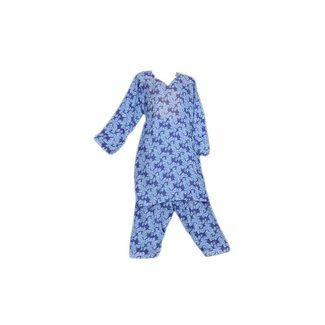 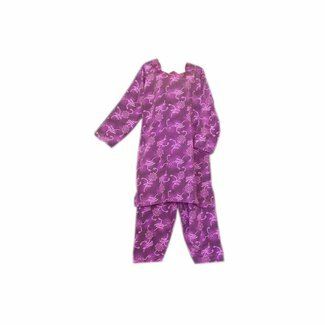 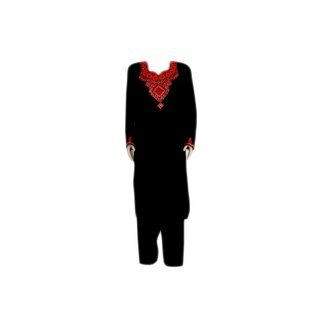 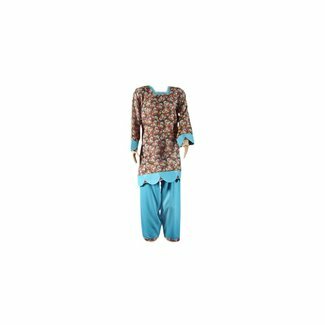 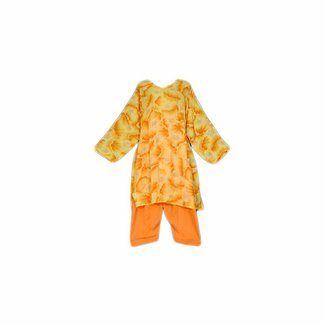 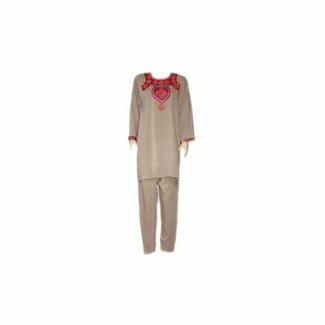 Salwar kameez made of synthetic fibers are mainly worn by women and a beautiful sample for nice oriental and islamic clothing. 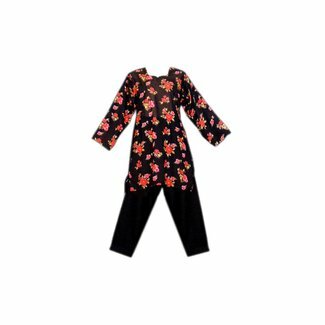 Black and red salwar kameez with floral print made from visc..
Salwar kameez in light brown with mirror embroidery (S, M, L..